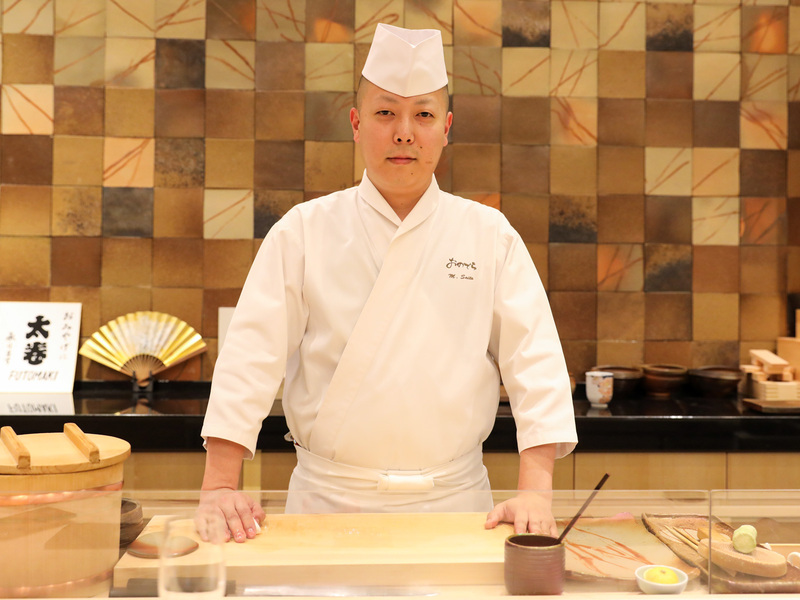 Chef Masaki Saito of Sushi Ginza Onodera in New York City explains why you should be eating Edomae style sushi. Before you ask chef Masaki Saito anything about how he goes about aging fish for sushi, you need to know why he does it. 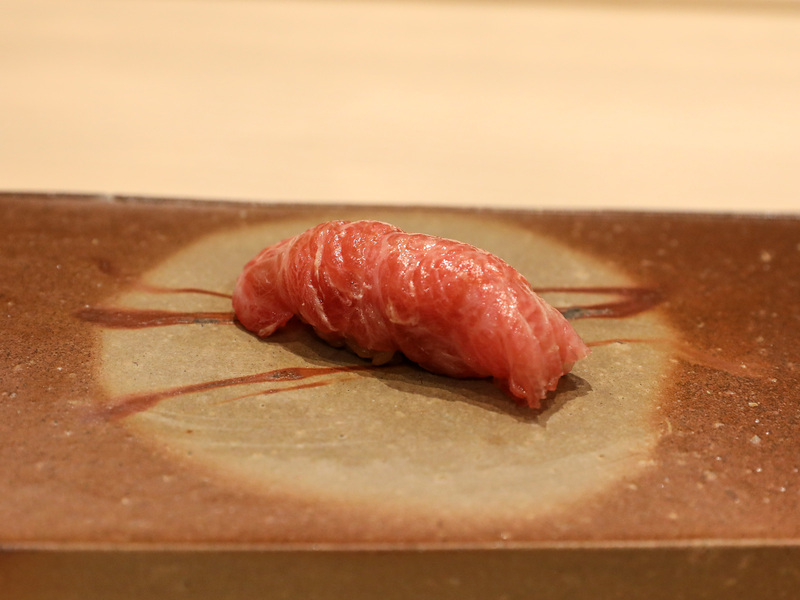 On this weirdly warm Thursday evening, dinner guests are already starting to slide in front of the spare wood sushi counter at Sushi Ginza Onodera in New York City. But the chef pays no attention to them. (Another sushi chef is preparing their meal.) Saito’s taken over the interview now. 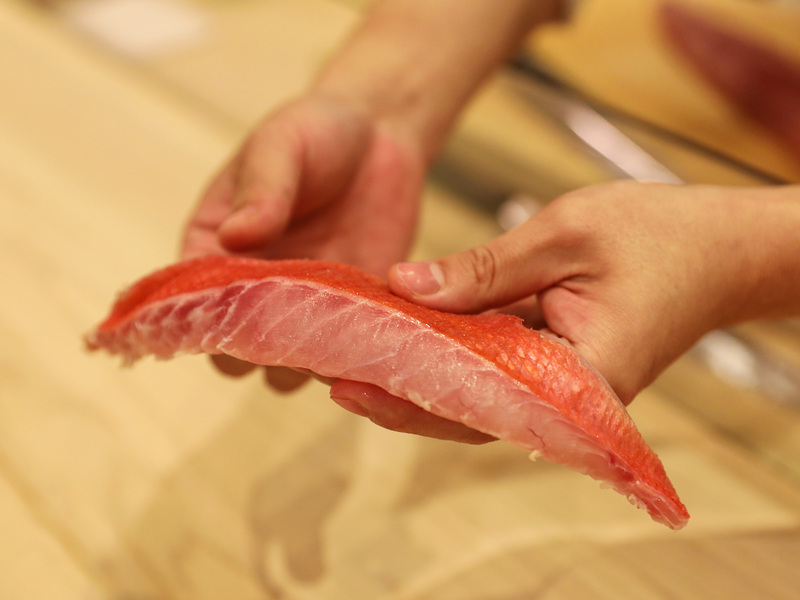 “Why do you think it’s important to age fish?” Saito asks through one of Sushi Ginza Onodera’s front-of-house members acting as our translator. I say what I know: that it was a technique developed as a way to preserve fish in Southeast Asia, stuffing the fish with salt before a 6-month slumber. It made its way to Japan and, during the Edo period in the 18th century, raw sushi over rice became the hot fast-food item. But that’s not what Saito’s looking for. Saito cures nearly all the fish that he serves at Sushi Ginza Onodera with salt, dried kelp, soy sauce or a mix of them, following the Edomae dry-aging-like style. Only about 10 percent of his customers come into the restaurant knowing this process, but Saito says they don’t really care once they leave learning the fact—“As long as it tastes good, it doesn’t really matter to them,” he says with a smile. Ever since he was a kid, Saito knew he wanted to be a sushi chef. He studied at a trade high school in Japan focused on marine life, and after that, he began working at lauded sushi temples in Tokyo and Hokkaido, including Sushi Zen. And he was already drawn to the Edomae style. Now the head chef at Sushi Ginza Onodera, he has his own method to aging fish that comes in from Tsukiji fish market three times a week. “Energy, umami and quality: That's what I always think about when I’m figuring out the best way to age fish,” he says. In terms of energy, Saito is examining the size and strength of the fish. He’s looking to see how many fins there are since the meat around that area will be tougher and require more time in salt and kelp. Umami, well, this is self-explanatory, and then Saito pokes around to see if the eyes are clear and the scales and fins are intact, which indicate that the fish was transported properly. Quality is key. “You can’t hide behind the aging,” he says. Once that’s all to his liking, Saito brainstorms how he will age the fish. For today’s golden eye snapper, he relies on the salt and kelp method. Salt darkens the skin, and after showering the fish with flakes, he pours hot water—100 degrees Fahrenheit—over the fish, slightly more on the tail to soften it up. Then, he soaks kelp, or kombu, in sake to make it pliable and wraps around the fish. A little modernism makes it way into the aging technique: Saito vacuum-seals the fish and stores it for five days. “You can see the oil glistening,” he says as he unveils his handiwork. 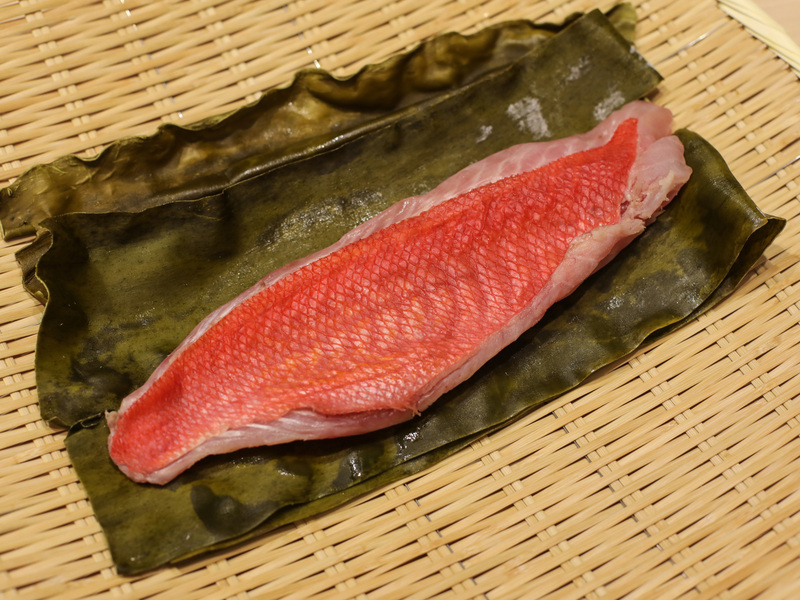 Other fish get different treatments—yellowtail spends one night soaking in soy sauce, mackerel is cured in salt and vinegar for three days—but tonight is about the golden eye snapper. “He looks good,” says Saito.